The first Thor was bad, but if you want to build a Universe you have to break a few eggs. Or something like that. Basically, the beginning of Marvel’s great project was bumpy, which is something people forget because it has become so good. Does that give us some hope that the DC Universe will eventually come around too? Maybe, Wonder Woman was solid, so perhaps there’s some hope for them. 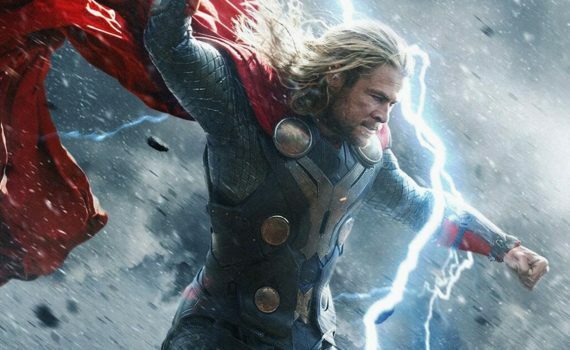 The key might be willingness to change, and there were definitely some changes made in the second Thor installment, leaving many of the mistakes of the first behind. But not all, sadly, that would have to wait for the third of the trilogy. Thor had to leave Jane and planet Earth so that he could bring peace to the Nine Realms, having discovered his true powers and the calling placed upon him to be a beacon of hope in the galaxy. He’ll be needed soon, because the ancient Dark Elves have awoken, and they are seeking the powerful Aether, a weapon that can turn everything it touches into dark matter. Jane, still seeking information on Thor, stumbles upon the Aether, and it enters her body as a host. Now the Dark Elves want her, and Thor must protect her with his life. All-out war is on the horizon as the Nine Realms converge, a point in time in which the Aether can be used to destroy reality as we know it. A slight improvement on the first, The Dark World is a move toward something better and more connected to the MU, a step away from the goofiness of the original. Hemsworth improves, Portman doesn’t, so it’s easy to see why she was left out of Ragnarok and the Universe going forward after this film. As always, Hiddleston stole the show with his complicated character; I don’t know what the franchise would do without the storyline between the brothers. I just hate the Warriors Three, I’m glad they stopped appearing in the later films, because they aren’t needed or wanted at all. These movies are just weak, it’s just early in the development of the Asgardian characters, but thankfully it gets much better.